There’s nothing like a bit of irony to add some flavour to your day, and boy do we have a venue that will do just the trick. This space is named Peasant, yet the venue is fit for a king (cue Alanis Morissette). Although located in the heart of Petrie Terrace, a visit to Peasant will have you feeling like a Barcelona local the moment you step through the door. Boasting Spanish fare with a modern twist, this equally stunning and exclusive venue should be top of your list for your next fiesta. Peasant’s very own private dining room exudes warmth and intimacy, as if you were hosting a gathering in your very own Spanish villa. ‘Mi casa es su casa,’ seems to be the mantra of the super friendly staff, who have perfected personalised service. Accommodating eight to fourteen guests, The Paisano dining room is perfect for a birthday fiesta with your closest pals, or a corporate affair to impress. The hardest part will be choosing between three tantalising banquet options and three beverage packages, featuring house-made sangria, fine Spanish wines, cava and custom crafted cocktails. 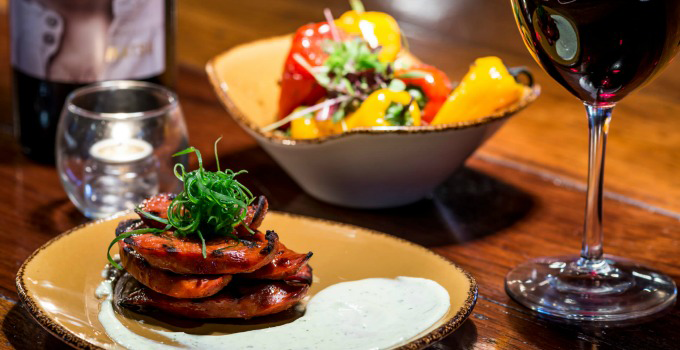 Casual yet sophisticated, Peasant’s menu is tapas style and made for sharing. There’ll be no deciding whether to order the croquetas de tapenade, seared scallops or the rustic Spanish meatballs – just deciding which to eat first. There’s nothing quite like sipping sangria until you’re singing Despacito, or tasting temperanillo until you’re convinced you can flamenco. Luckily there’ll be no shame in dancing your heart out this truly private dining room. For larger functions, Peasant offers the Grande Dining Room, or beautiful alfresco space The Courtyard, so everyone can be contento. 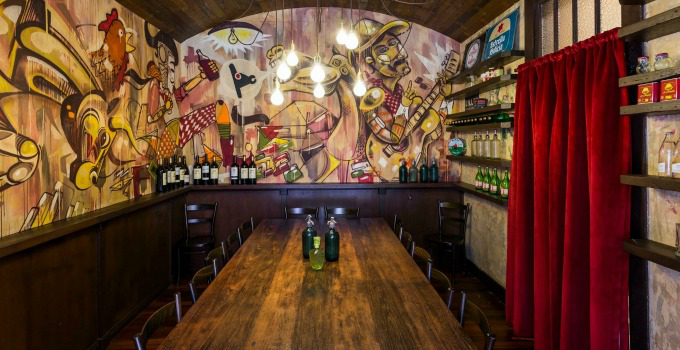 Say sí to the little voice inside your head and start organising your shindig at Peasant.